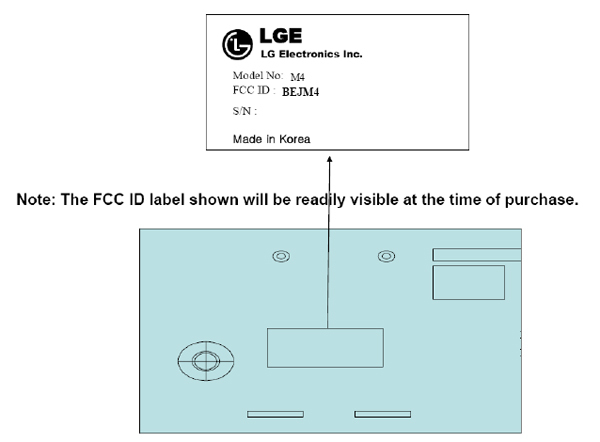 If this strange, rather unhelpful FCC label diagram looks vaguely familiar, that'd be because it's in the same product family as another LTE-compatible device submitted by LG to the FCC not long ago: the M13 with EV-DO compatibility. In fact, we'd venture to guess that this newly-passed M4 is basically the same thing as the M13, merely swapping 700MHz LTE and EV-DO for AWS LTE alone, which is the spectrum range that MetroPCS -- which has aggressively committed to rolling out LTE as soon as next year -- will need. LG's been meticulous about making sure it doesn't say anything specific enough in the FCC documentation to let us lay folk nail down exactly what it is, but there are brief mentions of connectivity via USB, so it's conceivable were looking at some sort of data modem here. Either that, or... you know, it's a piece of base station or test equipment that we'll never even come close to seeing in the flesh. LG gets mysterious AWS LTE device through FCC originally appeared on Engadget Mobile on Mon, 28 Sep 2009 17:51:00 EST. Please see our terms for use of feeds.